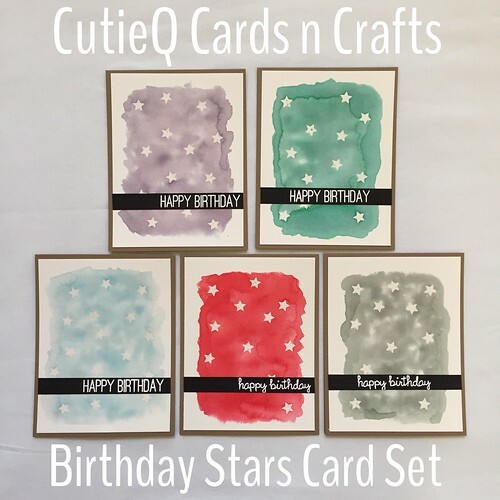 CutieQ Cards n Crafts – Birthday Stars Card Set | Living life in the carpool lane.. There are some techniques I have just learned to fall in love with. Heat embossing and water color resisting is one of them. I love the resulting look of this technique so much that I decided to create a card set around it. 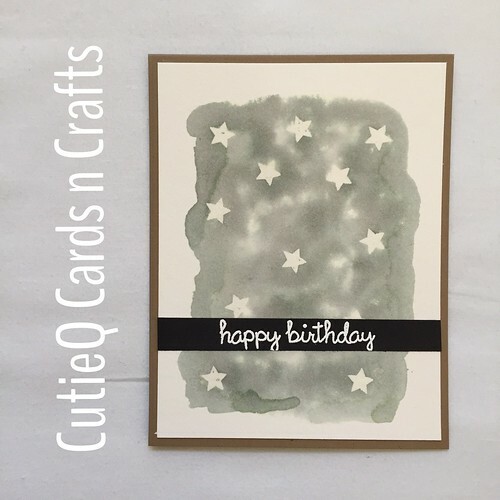 That’s how the Birthday Stars Card Set was born. Birthday cards! Everyone needs birthday cards, right? There are people born everyday, hence, a birthday is celebrated everyday! 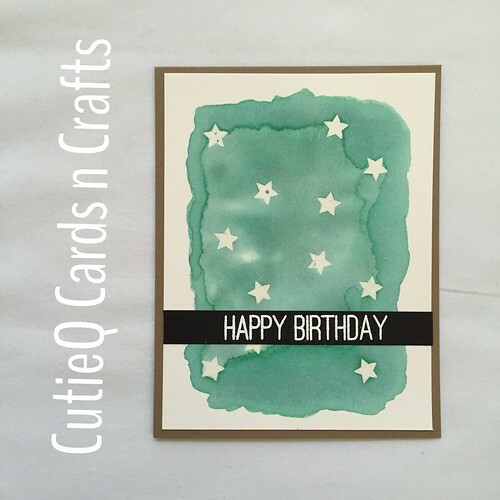 What better way to be prepared by having a card set of birthday cards on hand?! Don’t be caught without a birthday card on someone’s birthday. By owning this card set, you won’t have to drive out to the closest store to buy a birthday card at the last minute. Every card is handmade. That means that the card set you receive may not look exactly like you see in the photos. But that’s the beauty of handmade. 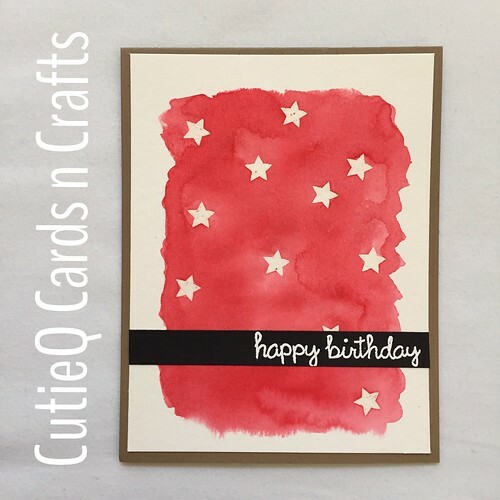 Give the gift of a one of a kind, handmade birthday card to someone special. This card set is $20 + $6.50 shipping. These cards are made to order. Please allow approximately 1 week after receipt of payment for the card to be shipped out to you. Please visit the Etsy listing here for more information. 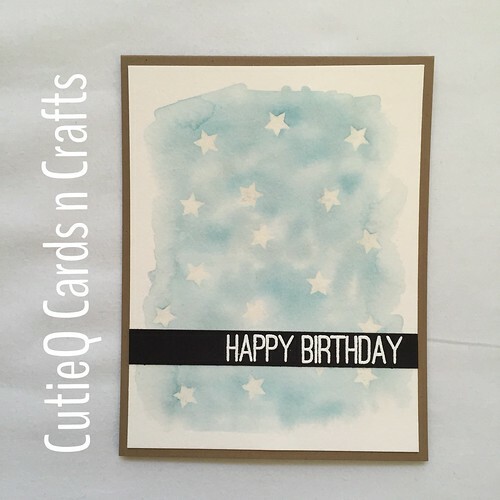 1 Response to "CutieQ Cards n Crafts – Birthday Stars Card Set"